As ArtPrize Link Sessions continue to expand this year, we will be offering a series of one-on-one meetings for ArtPrize Artists to make connections with contemporary fine art and design professionals from West Michigan and beyond. 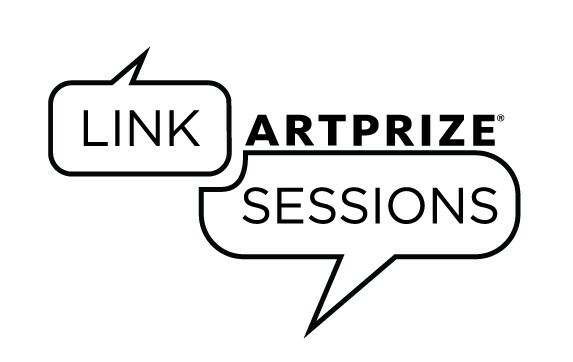 Link Sessions provide artists with the opportunity to make new connections, receive professional advice, and explore new ways to advance their art practice. More than 40 contemporary art and design professionals will volunteer their time to consult and advise participating ArtPrize Seven Artists. Link Sessions are intended to catalyze professional advancement opportunities; artists can use the session for portfolio review, conceptual presentation and feedback, or informational interviews. Artists will apply to meet with the art and design professional of their choice by indicating their area of profession and writing a brief statement of how they intend to use the 20-minute session. This year’s Link Sessions are generously being hosted at Studio Blue Interphase Interiors, located at the corner of Oakes and Commerce in the heart of downtown Grand Rapids. A link to the application form has been e-mailed to all ArtPrize Seven Artists. Submitted applications will be reviewed by the ArtPrize Exhibitions team, and successful applicants will fill the sessions on a first-come, first-served basis. The deadline for applications is Friday, September 11 at 5:00 p.m. EDT. Students, hobbyists, emerging and established artists can all benefit by connecting with our consultants who are leaders in fine arts organizations, academic institutions, and the design community. ArtPrize Link Sessions consultants are recognized experts, curators, community organizers, envelope pushers, activists, artists, theorists, gallerists, and entrepreneurs. Get to know them! In addition, ArtPrize will be partnering with Creative Many and Lawyers for the Creative Economy to bring the Executive Director of Maryland Volunteer Lawyers for the Arts, Adam Holofcener, to the Michigan House on September 30th. Stay tuned to the ArtPrize Blog for more details later in the week.